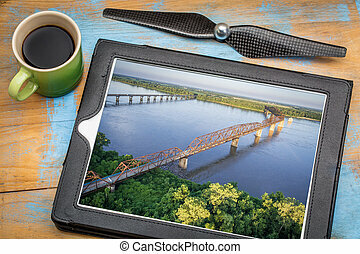 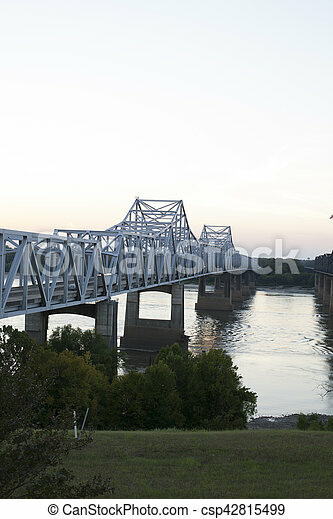 Bridge over mississippi river. 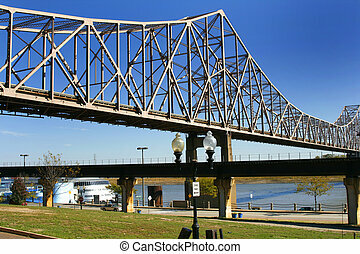 Bridge over the mississippi river with diminishing perspective. 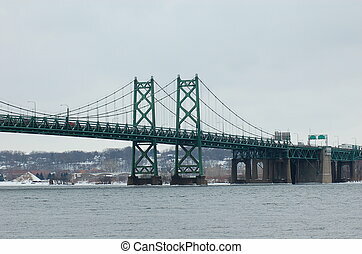 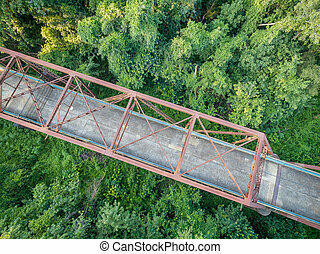 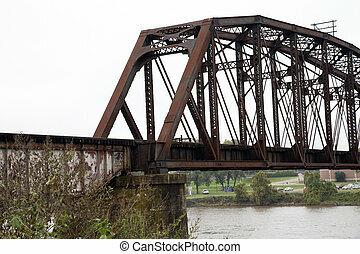 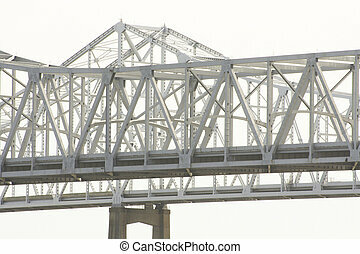 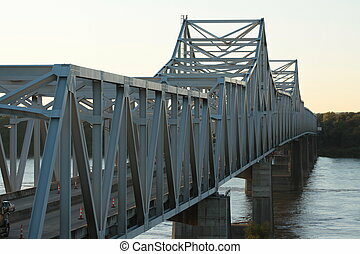 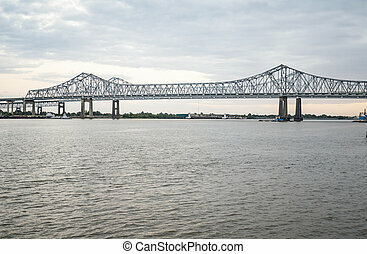 40 year old bridge connecting 2 states is going to be replaced by a new bridge. 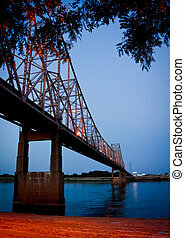 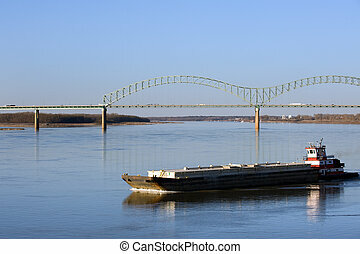 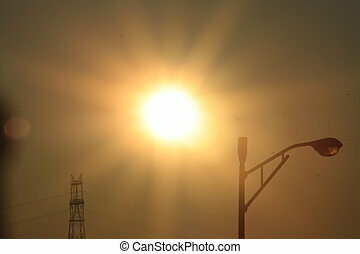 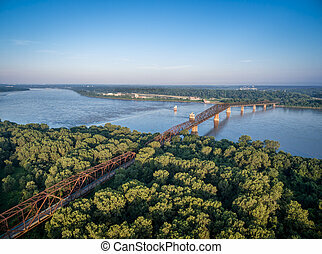 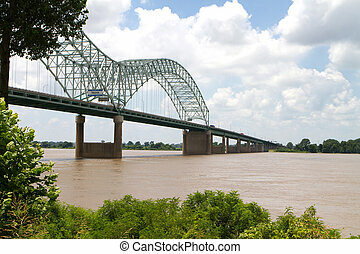 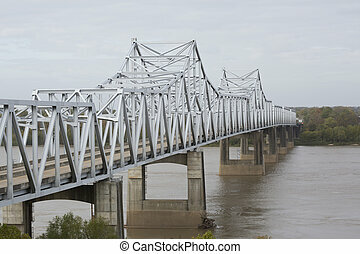 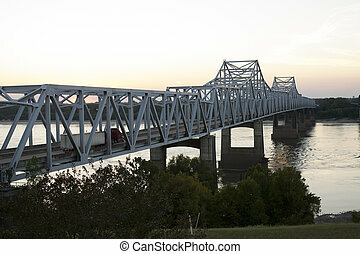 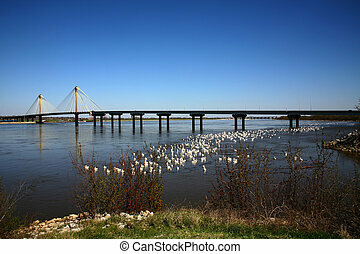 Interstate 40 bridge over the muddy Mississippi River connects Memphis, Tennessee, with West Memphis, Arkansas. 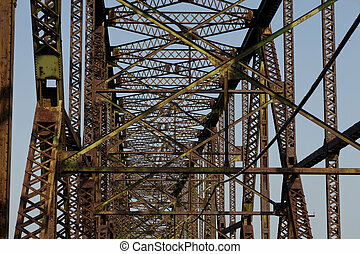 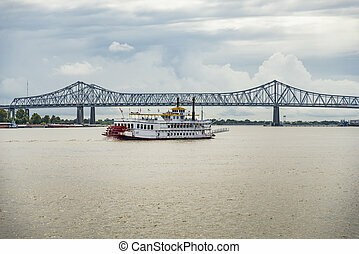 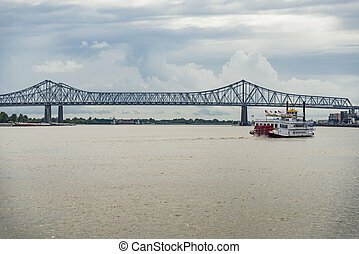 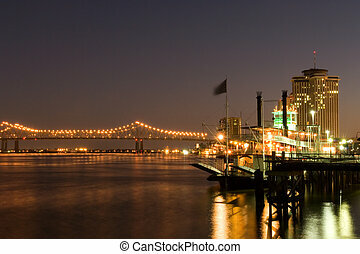 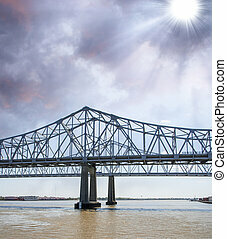 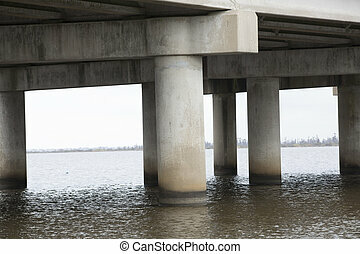 Bridge over the Muddy Mississippi River - New Orleans.